The keys have been passed over to Mark & Cecie! 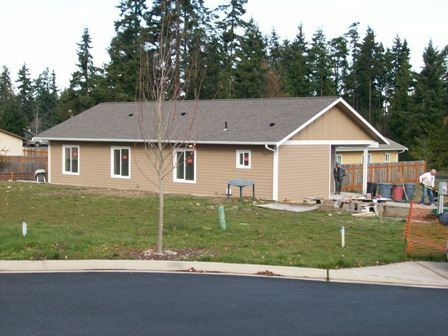 Construction on the next 2 homes will be starting soon! 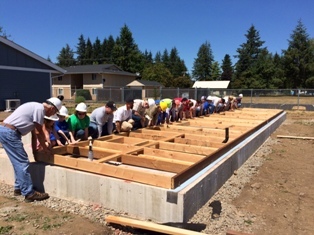 Habitat staff and volunteers help the Gooding family raise the first wall of their new home on June 27th. 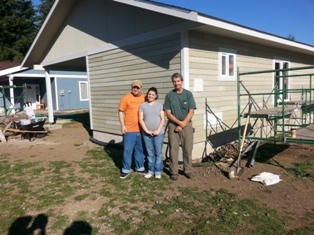 Future homeowners Shay and Kristal and Forks Construction Manager Bill Terrill. 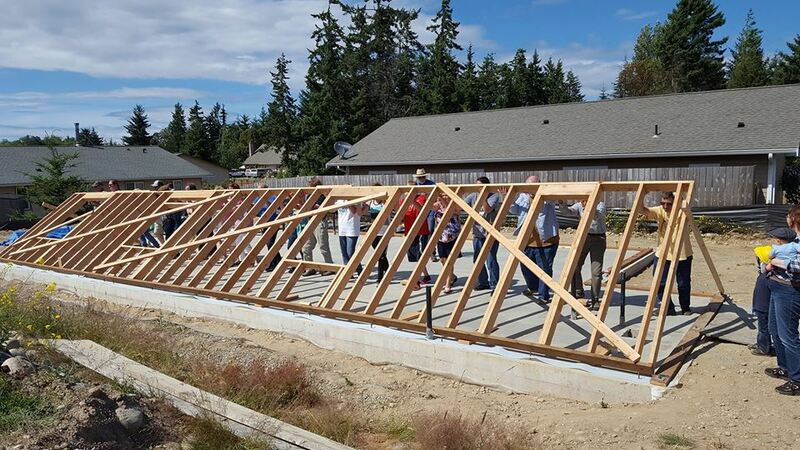 On May 3rd, we officially started construction of the Dancel family home in our Port Angeles development with a Wall Raising Ceremony. Future homeowner Taya Dancel leaves a message of thanks on the studs of her new home. 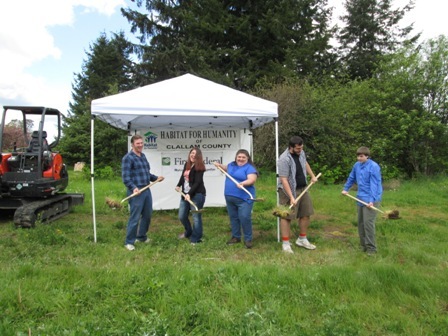 A second volunteer crew from Hartnagel/Angeles Millwork in Port Angeles display their handiwork. 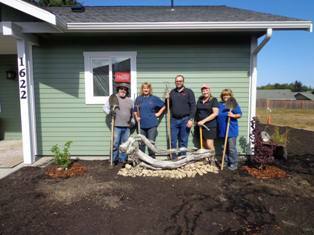 The Dancel family received the keys to their new home at a dedication ceremony on April 10th. 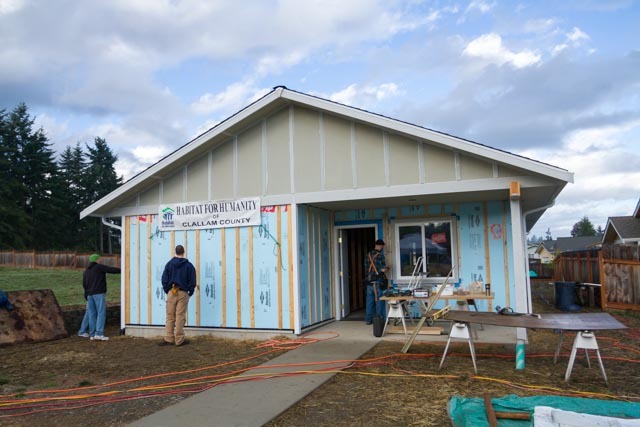 Oct 18, 2014 - Congressman Derek Kilmer, Representative Steve Tharinger and Clallam County Commissioner Mike Chapman spent the day building the Commerton home alongside Habitat board members and volunteers. 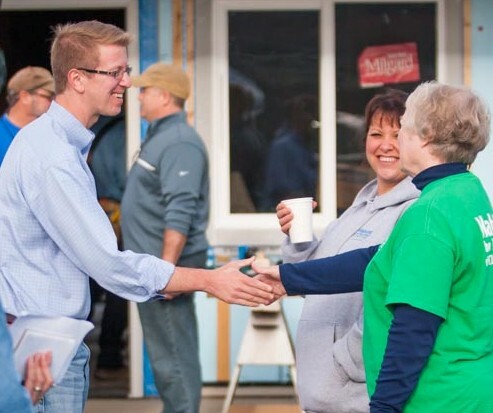 Congressman Kilmer meets board member Margaret Crayton and homeowner Jamie Commerton. Mark Weaver putting in his sweat equity. 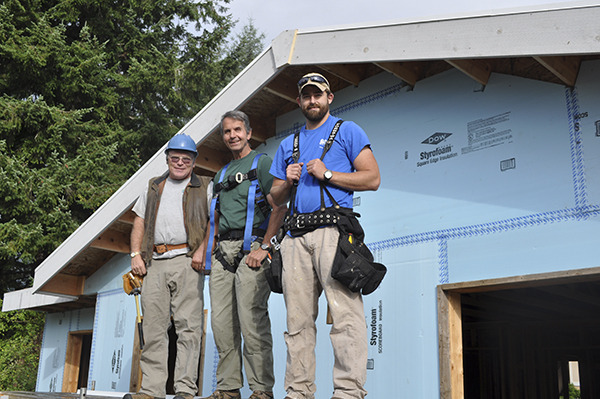 From left to right: Volunteers Bob Tiemeyer and Bill Terrill and Forks Construction Supervisor Connor Nielson. 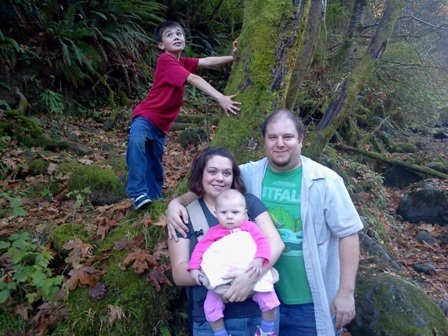 The Weaver family in front of their new home. 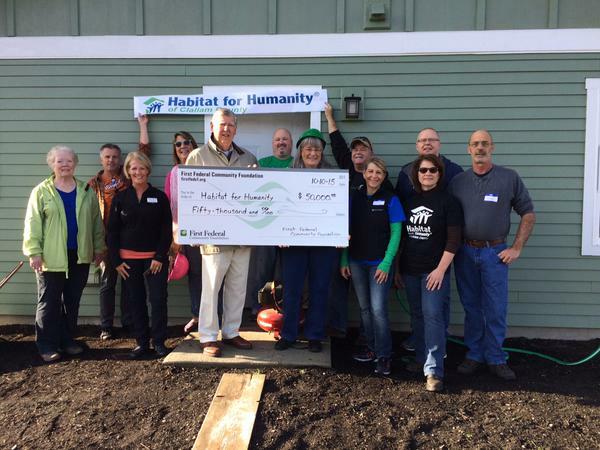 Volunteering with Habitat is a fun and rewarding experience! 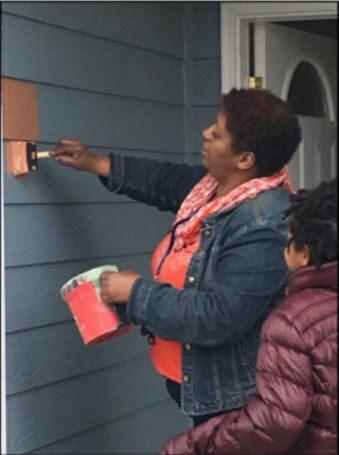 From the construction site, to the Habitat Store, to our committees, every volunteer position offers you an opportunity to take part in changing the lives of local individuals and families. No experience or special skills required - sign up today! We hold a new homeowner information meeting once per year. 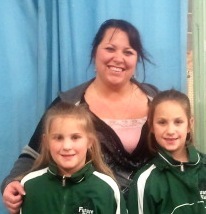 Please check our website for updates and meeting notices. 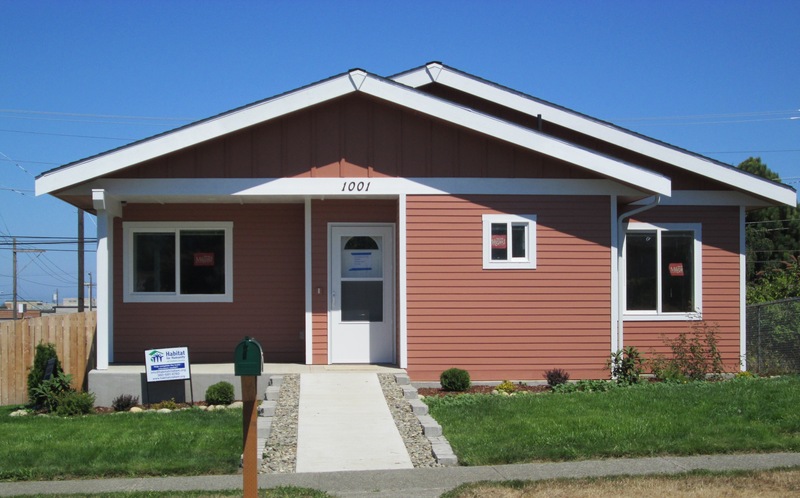 Help Habitat for Humanity of Clallam County fight the poverty housing crisis by making a tax-deductible gift today. 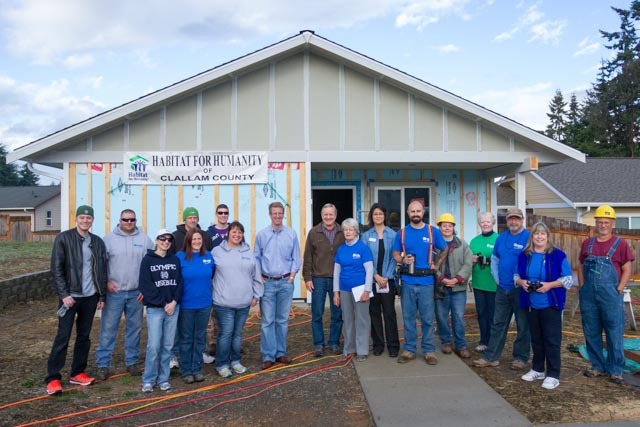 Habitat is working everyday on and off the build site to fight the affordable housing crisis. Partner with us and empower your organization and yourself by giving back to your community.